See the Pen monkey patched event listeners by Michael Jasper (@mdjasper) on CodePen. Here’s a quick visual demo of the effect of reflection depth in ray tracing, using the incredible Tiny Raytracer by Gabriel Gambetta. I have hosted a modified version of Tiny Raytracer on codepen for experimentation. This guide will walk through installing and creating a GraphQL API in a Ruby on Rails application. It is a companion piece to the excellent Getting Started with Rails guide from RailsGuides. There are lots of resources that teach GraphQL-itself better than I can, so this guide just focuses on actually installing and using it in a Rails app. This should modify the Gemfile to add a development tool GraphiQL, created necessary files in the application, and add GraphQL routes to the route file. Let’s do a quick status check to see if everything is working so far. Start the rails server, and visit the GraphiQL route, localhost:3000/graphiql. You should see the GraphiQL user interface. description "an article from the blog"
description "a comment on an article"
These files define the schema and the relationship between Articles and Comments in a way that GraphQL can understand. To test the endpoint you can use a tool like Postman to make requests to the app. In postman, Let’s make a request to localhost:3000/graphql (remember to set the header Content-Type: application/json). Please note that this is an important feature, and should only be disabled during developments, or if you want to create a completely public api endpoint. At this point we have installed GraphQL into our Rails app, created schemas for Articles and Comments, and written query types to return that data from our application, as well as testing the real API endpoint using postman. From here you can take any path to consume the data, such as through a front-end application like a React or Angular application, or exposing the endpoint publicly! Create a class factory which allows dynamic super classes to by applied to an es6 class (dynamic inheritance). This will be transparent to a consumer — meaning they will interact with it in the same way as the initial class. However, testing a module like this is difficult for two reasons. The explicit super class Fetcher which is imported in the module is difficult to override without reaching down into the prototype and manually modifying methods during the test. Yuck! Wrap the extending (child) class declaration with a function, which accepts a parameter for its super class, and a default parameter value. Then the inner class can be declared using the SuperClass parameter. 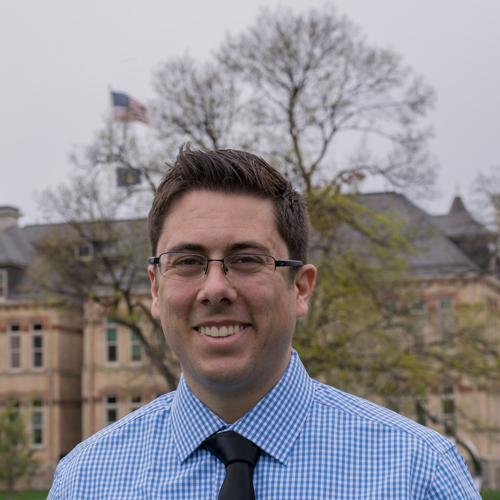 This will allow the child class to reference either its default parent, or the custom super class explicitly passed in. The child class then extends or overwrites any methods from super that are required. Finally, a new’d up instance of the child class is returned with the remaining arguments passed to the class factory function. For consistency of use, we can force the function to be called using new, making the abstraction completely transparent to any consumer. See the Pen dynamic super class by Michael Jasper (@mdjasper) on CodePen. If you’re looking for the steps to include static files, like an mp3, to a create-react-app project — and use es6 import statements to use them in a component, here are the steps. This process will involve “ejecting” from create-react-app, so think about the implications of that before proceeding. 2) Include the files you want to use somewhere in the src folder. Probably with the component which will be consuming them. Do this for both the dev and prod webpack files in the config folder. I ❤️ react, and have spent a bit of time teaching react concepts to others through bootcamp trainings, and university courses. Illustrates simple props.children composition, as well as composition with stateful components. Stateful component composition with user generated data. Illustrates animating-out changes to state when todos are removed from state. Search-preview of the Google Books api. Illustrates a very simple debounce implementation for network request performance. Use a higher order component to generalize a common task of fetching and loading data into a component. A primary goal of data visualization is to communicate information clearly and efficiently via statistical graphics, plots and information graphics. Numerical data may be encoded using dots, lines, or bars, to visually communicate a quantitative message.Effective visualization helps users analyze and reason about data and evidence. It makes complex data more accessible, understandable and usable. 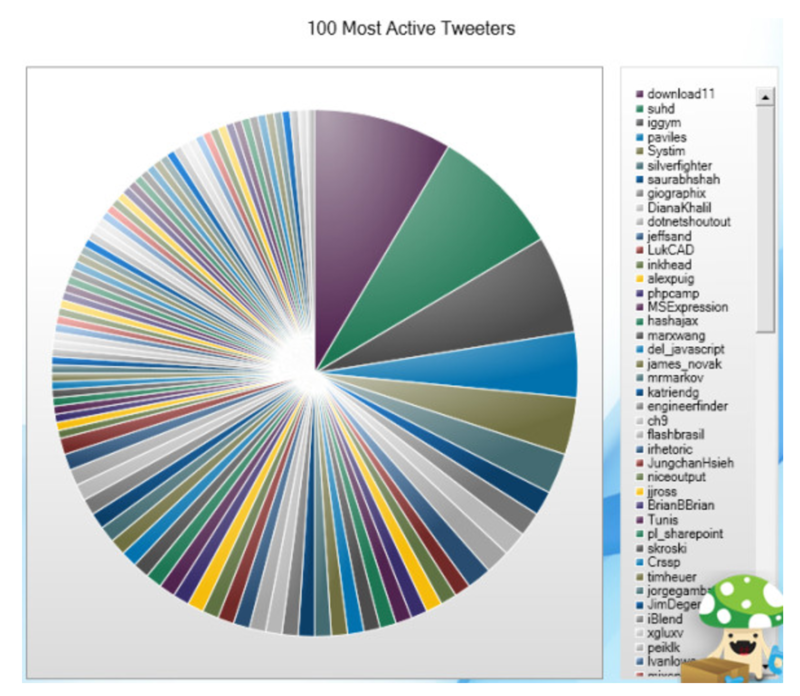 A pie chart that shows the 100 most active “tweeters” of a particular hashtag? Terrible visualization. Measuring it against our criteria, it doesn’t effectively communicate a message, or enable any type of reasoning about the data — other than to reason that 100 is far to many data points for a pie chart. 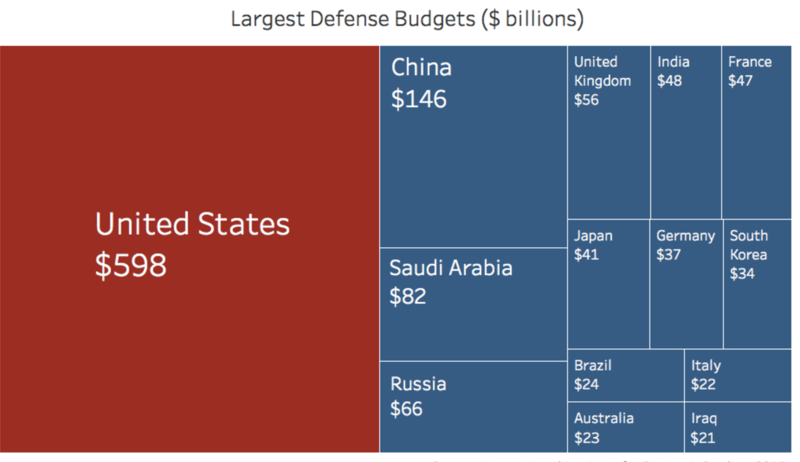 A tree chart with shows the worlds defense budgets? Great visualization. It is clear and understandable, and illustrates a message to the viewer. 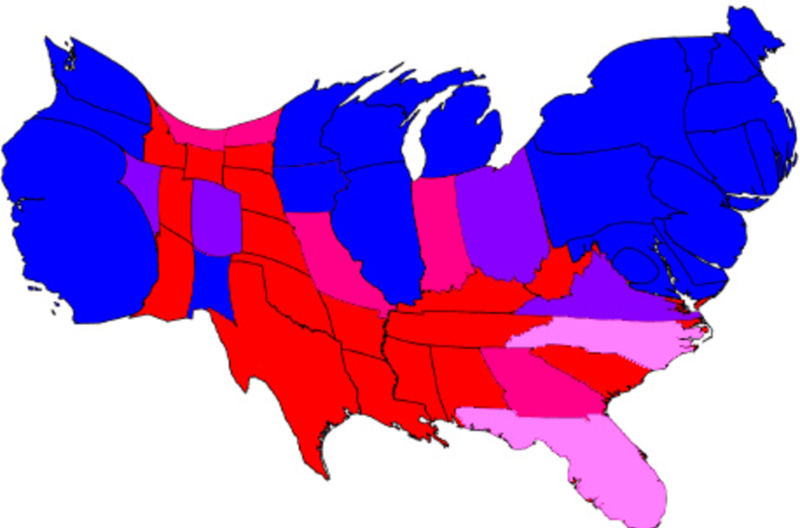 A map of the 2012 Electoral College results by state? I believe this is an excellent visualization. It shows not only the states votes, but shows the weight each state has in the electoral college. It is accessible to the viewer. 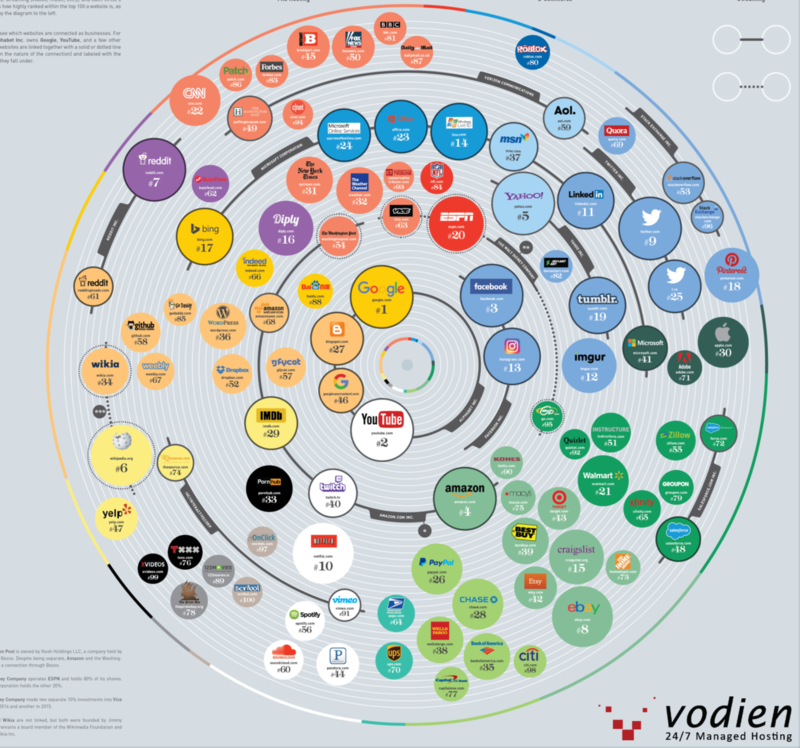 A chart of the 100 most popular websites per month? At a quick glance, which is most popular? Is it the largest, or closest to the center? Which is the largest anyway? This is an ineffective visualization. CSS: Css properties, such as width or height determine the shape and size of objects which can represent data points. Now the project is running, we can consume the react-vis package in our app. In the “App.js” file (the main component rendered by the app at this time), import the react-vis components and css. See the Pen bpzQjo by Michael Jasper (@mdjasper) on CodePen. See the Pen XdOyay by Michael Jasper (@mdjasper) on CodePen. See the Pen Flexbox golden layout by Michael Jasper (@mdjasper) on CodePen. My organization has early access to Microsoft Planner through our Office365 account, and I’ve been able to evaluate it compared to what we currently use: Trello. Spoiler alert: This post is fairly critical of Planner — in a Planner vs Trello head-to-head, trello wins hands down. The first thing I tried in Microsoft Planner was to leave a comment on a card. It broke. Bad first experience. Markdown syntax is not supported in comments, descriptions, or checklists. A key feature of Trello for my team is that multiple people can be assigned to a card at any given time. This fits our workflow. Forcing a 1-card-1-person relationship arbitrarily enforces a workflow on users. Microsoft Planner doesn’t seem to play nice in Safari. It is compatible with IE/Edge… perhaps that is what it was developed for as well. Once comments are posted in Microsoft Planner, it is impossible to edit them. There are no visible card numbers in planner. While they are also hidden in Trello, there are multiple plugins and options to surface them to the user. While this is technically not a failure of Microsoft Planner, community support does matter. Trello has thousands of community developed extensions that enhance and customize the interface to make it perfectly suited for a given team. Don’t plan on being verbose in your checklists in Microsoft Planner — there is a 100 character limit per item. An important part of my Trello workflow is integration with Slack. Trello has 100’s of integrations with other services. Microsoft Planner is still new to the game, and there are no integrations yet. I have personal and family trello boards, as well as work related boards, all linked together under the same account. The only access point a user can have with Microsoft Planner is with your organizations Office365 — meaning that vendors or contractors which aren’t part of your organization are out of the loop. Microsoft Planner seems to have a hard limit of 6 labels for a board. This is a pretty small set, and totally unusable if — like my team — you support dozens of applications. It is impossible in Microsoft Planner to move cards between boards or projects. This is an essential function of Trello which allows us to move items between different teams boards, if the ownership of projects change, or cards are escalated to different groups. In Microsoft Planner, “completed” cards are hidden, but still listed in each section. There is no “archive” section where you can move completed tasks to remove them from your board. There doesn’t seem to be a way in Microsoft Planner to customize the board in any way, such as background colors or other branding.